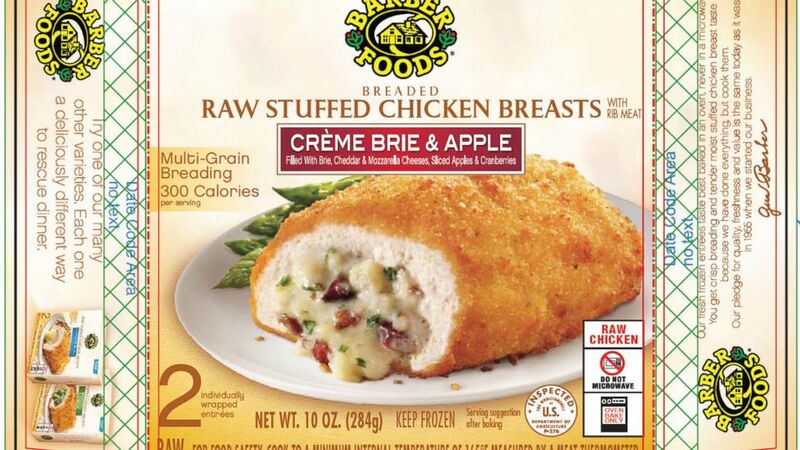 Barber Foods of Portland is recalling 1.7 million pounds of frozen chicken products over concerns that they may be contaminated with salmonella. The U.S. Department of Agriculture made the announcement Monday. The frozen chicken affected by the recall was produced between Feb. 17 and May 20 and distributed to various grocery chains throughout the United States and Canada, including WalMart, Kroger and Meijer. Monday’s recall is an expansion of a July 2 recall of 58,000 pounds of food . That was prompted by six illnesses in Minnesota and Wisconsin. Two more patients have been identified since then. Barber is a division of AdvancePierre Foods Inc. A spokesman for the company says Barber is collaborating with the USDA to change production practices to reduce salmonella. Click here to “LIKE” Crossville News First on Facebook and get the news you need all the time.